Description Track the Ball is a sliding puzzle game featuring 28 levels with multiple achievements to collect and a level editor to create mazes and share them with players from all around the world! 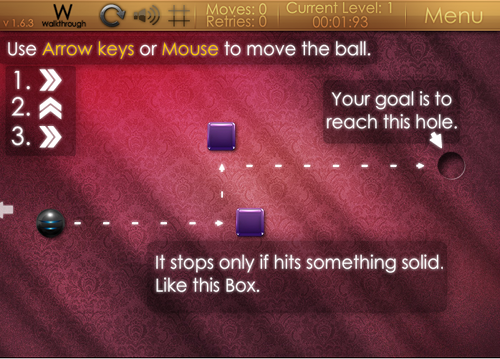 Control the ball with ARROW keys (or MOUSE) and find the path to the exit (aim the hole). You can retry the level by pressing "R". Very cool music. And the game itself good. But music is better.